"paradise found on the gulf of mexico at LaPlaya Beach and Golf Resort. located in naples, florida, you'll forget the hectic everyday life and feel pampered and serene the moment you enter your tranquil abode with direct views of the blue-green water. at LaPlaya Boutique, we introduced kai in late 2014 and have had great success with the line. our guests still mention kai as one of oprah's favorite things, and once they take advantage of the kai testers, they're sold. we love introducing customers to the kai roll-on perfume oil. 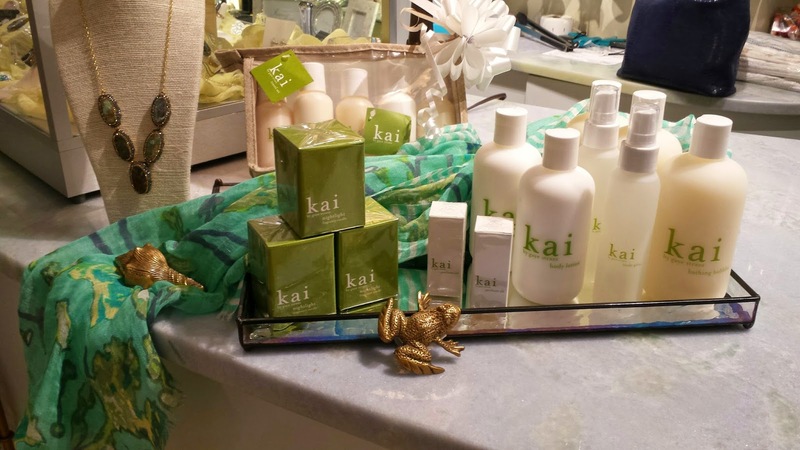 kai is perfect for our customers because it evokes a feeling of relaxation, especially since they tend to be here on vacation. kai can be taken home as a reminder of the beautiful moments spent while here at LaPlaya on the gulf of mexico!" only a short plane ride from home in new york takes you away to the floridian sun, sand and spa...needless to say, laplaya was the perfect destination for our mid-winter family getaway. the food is divine and the grounds are just as beautiful as the sunsets (if that's even possible). we can't wait to go back!